Nowdays many designers try to find out the best ways to attract the attention of trend-lovers by creating looks that are extraordinary, somehow excentric and exceptional. Designer’s job is very hard as they can’t dictate something that has already been in fashion some decades or centuries ago. So they find different keys of fashion and make a mixture of various styles. 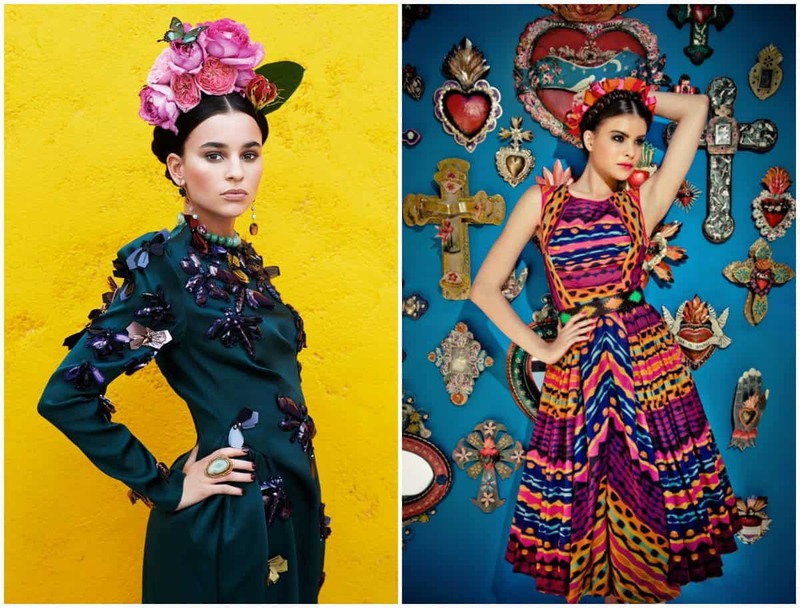 Recently Frida Kahlo Clothing style has become very popular among women. It has become very trendy to use the style of eminent people: singers, actors and even artists. 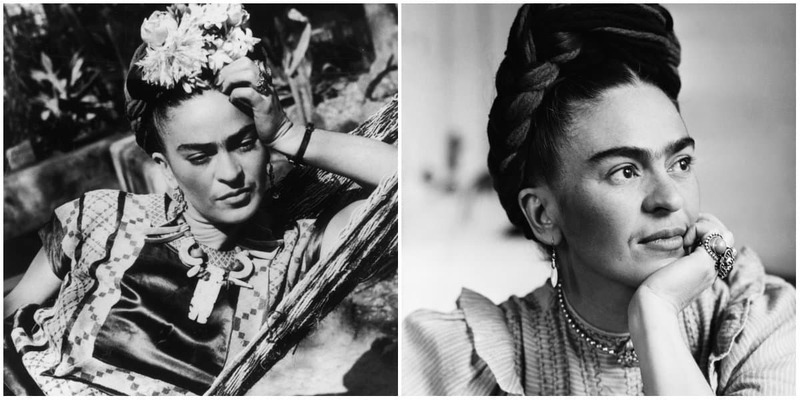 One of them is 20th century well-known Mexican artist Frida Kahlo. 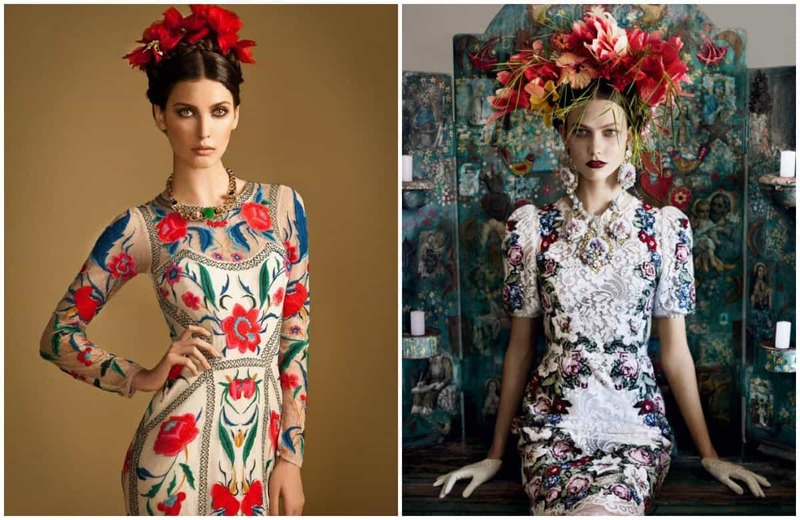 Frida Kahlo clothing style inspired many designers and now she is considered to be a feminine fashion icon. Many girls have started to wear long skirts, corset-style tops, blouses and embroidered dresses. 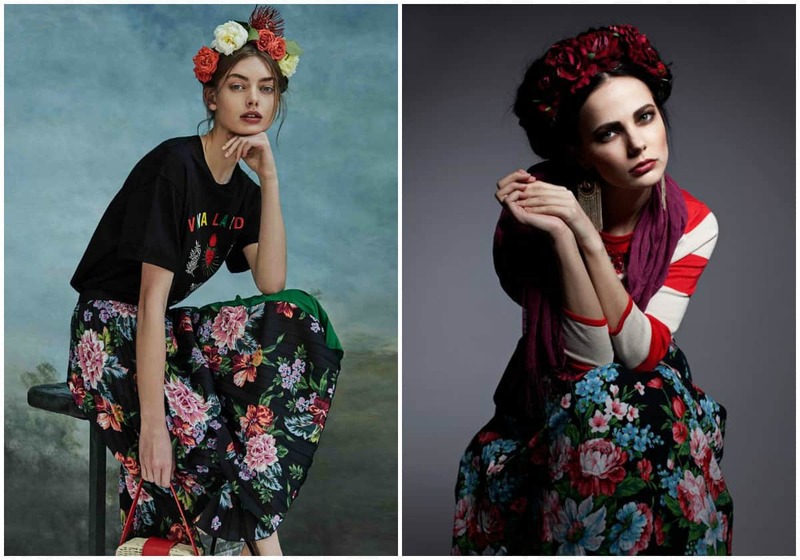 Even Kahlo’s hairstyle has become very trendy: dark braids and a bunch of bright flowers in hair are very common nowdays. Generally, clothes serve as a source of informattion about us. So let’s see what tells us Frida’s expressive and eloquent style. It was about a century ago, when one of the incredible wardrobes have been locked up that belonged to Frida Kahlo. Her clothes were cloistered by her husband, well-known painter of 20-th century, Diego Rivera. It’s interesting that even after Rivera’s death Frida’s clothes still remained hidden until 2004. It was her husband Diego Rivera who was standing behind the idea that Frida should wear traditional dresses. He considered that Mexican women shouldn’t accept American bourgeouise traditions and habits. For the first time Frida wore a traditional dress on her wedding day, borrowing it from her maid. 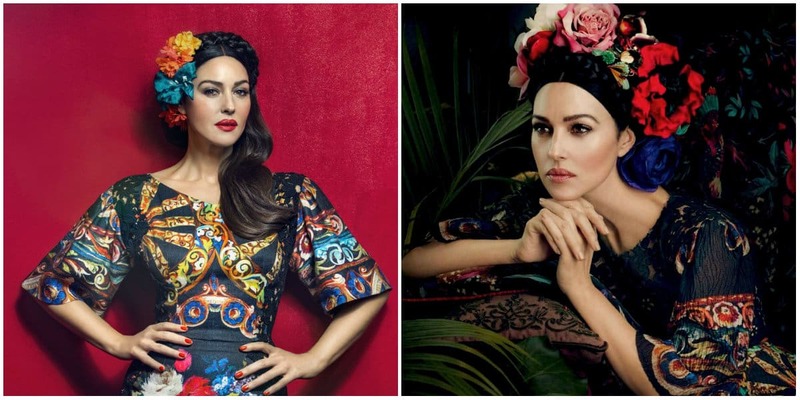 Born in Mexico, she wore clothes that were typical of the other part of Mexico. The process of creation any style always has its influences from the birthplace and environment. In case of Frida it was Mexico and its cultural traditions. Although Frida had many problems concerning to health, she created the illusion of blossoming and healthy woman. From her biography becomes known that after car accident she always had pains, which didn’t let her go for a minute. This fact split her personality in two. Kahlo often painted herself from one side, sometimes she even painted two self-portraits on the same canas. «I used to dress like a boy in pants, boots and a leather jacket, cut my hair short, but when I saw Diego, I started to put on a woman’s suit of techno». So, since then Frida started to wear trousers later to hide her mutilated leg, but she made her image more womanly. Having creative nature, she searched for a unique, non-repeatative image in spite of the fact tht she didn’t care about feminine beauty ideals of 20-th century. As a basis for her style Frida took the women’s costume of the inhabitants of the Isthmus of Tehuantepec in Oaxaca. With the deterioration of health, the ribbons, flowers and jewelry became more colourful. 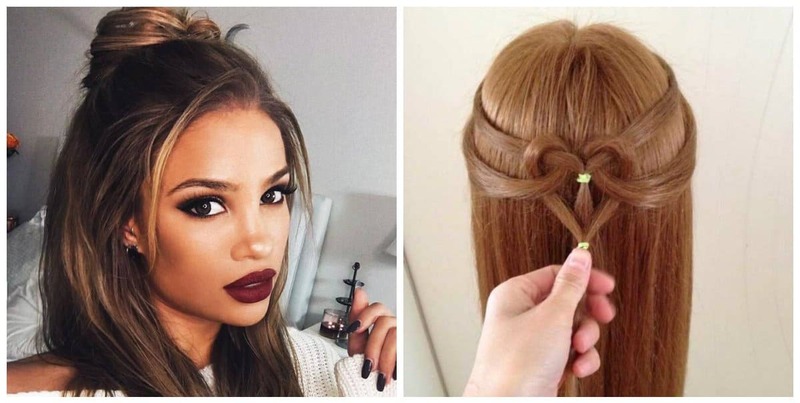 In the last days of her life when it was very difficult for her even to raise her hands, she asked her sister to comb her hair and decorate with flowers. There were periods in her life when she had to lie on bed with a special, orthopedic corset for several months. Even in this case she didn’t lose her artisitc view. When she had her right leg ampulated, she created a red boot with a bell on it. By the way, it was convenient to hide the corset under the blouses and under long skirts her hurting leg. 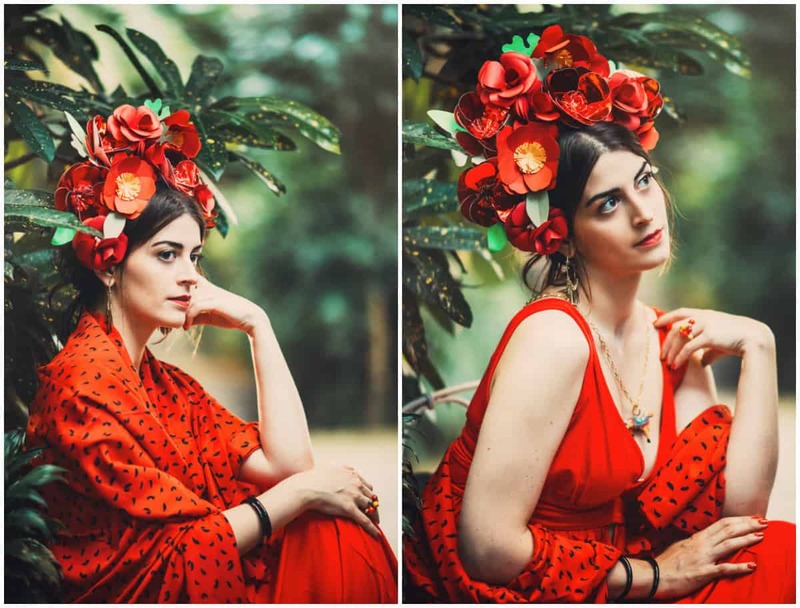 For the first time Frida Kahlo Clothing style made a sensation in Paris in 1939, when she went for the opening of the exhibition called «Mexico». Her photo appeared on the first page of the «Vogue» journal. «When I was in Paris with Andre Breton for exhibition, everybody looked at me: at my beautifully embrodiered Indian costumes, at my hairdos with flowers», she wrote in the letter to Diego Rivera. She was a flower-woman, bright and colourful, but at the same time dangerous and unpredictable. The juicy colours of her costumes sprouted from the soul, interwoven with intricate ornaments and complex rhythms of folk costumes. Later Frida Kahlo’s style interested surreal fashion designer Elza Skiaparelli, Alexander Mcqueen and Jean-Paul Gautie. 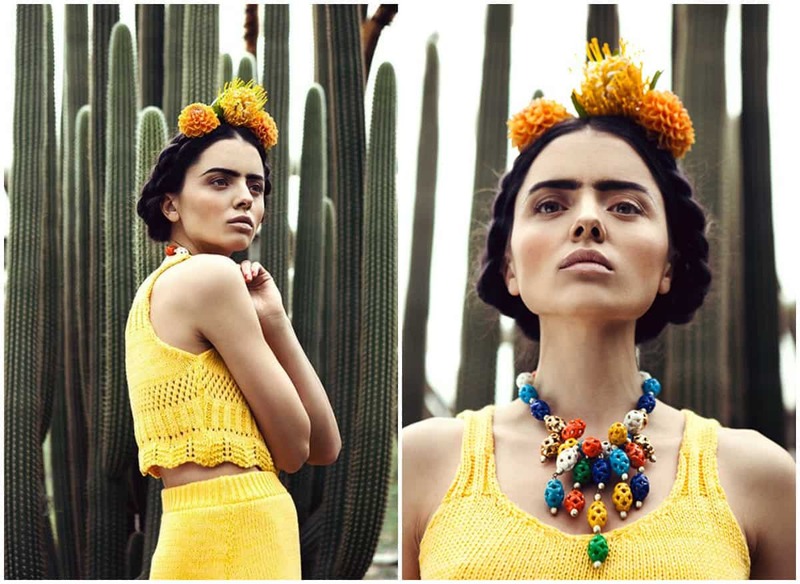 Contrast colors of her dresses, alive flowers in hair, carefully chosen jewels tell us about Frida’s inner cheerfulness. With her bright-colored clothes she wanted to show that everything is possible to overcome. That life isn’t just a seccession of black and white colors. 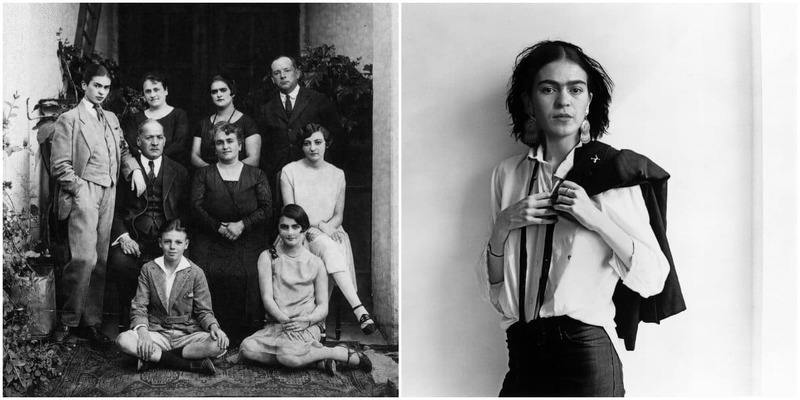 The aesthetic attractiveness and fashion indsutry of the 20-th century wouldn’t be complete without Frida Kahlo’s name. So we can state that Frida Kahlo’s clothing style demonstrates her will power, the ability to accept misfortunes with the brightness of all colors mixed on a canvas of life.